King Arthur’s School has, as of 1 April 2019 become an academy and joined the Sherborne Area Schools’ Trust (SAST). Serving students from the local community and surrounding Dorset and Somerset villages, King Arthur’s has been supported by SAST over the last 9 months and has close links with founding SAST member, The Gryphon School in Sherborne. The Gryphon has been providing support to King Arthur’s, with a number of staff being seconded. This has included a new Assistant Head with responsibility for Teaching & Learning, English Improvement Support, a new Business Manager, a new Catering Manager, and a Community Lead. The support and links will continue and strengthen next year with the same systems, approaches and expectations. A new structure of leadership, specialist teaching positions and support staff posts will be in place for the new academic year. Mrs Jen Jacklin has been appointed as the permanent Head from 1 September 2019. Mr Jim Gower will continue his role until the end of the academic year, when Mrs Jacklin will take up the post. In order to ensure a smooth transition and continued momentum with regards to school improvement, Mr Gower and Mrs Jacklin will work together closely during the summer term. Mrs Jacklin brings a wealth of experience to the role, having worked in senior leadership teams across three schools; this combined with 12 years of teaching experience in secondary schools and her current role as Teaching School Director at the North Dorset Teaching Alliance means she has expertise in supporting students to progress, developing staff, delivering training and recruiting new teachers. She has been involved with the school as a member of SAST and will continue the improvement work undertaken to date. It is an exciting time for the School, with secured investment in the facilities over the next 6 months. The school is already spacious, with some excellent specialist facilities for the sciences and arts. It has dedicated access to a state of the art sports centre with swimming pool and sports fields and we are committed to further enhancing the environment and facilities. An Environmental Improvement Grant is funding new student toilets. 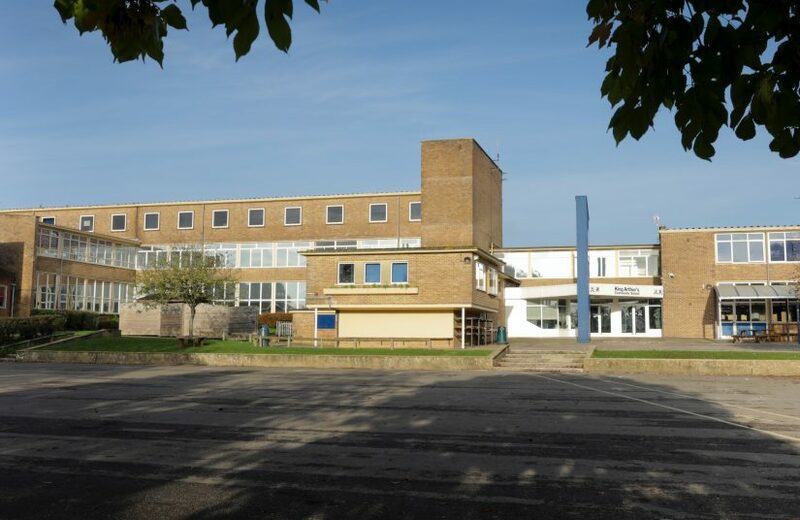 The Performance Hall is being given a facelift and new flooring, and the main hall will be redecorated, as well as having a new projector and screen installed to facilitate learning. The Reception area is being redesigned to improve access and refresh the entrance to the school. Steve Hillier, CEO of SAST said, “We are delighted that King Arthur’s School has now formally joined SAST. This is the culmination of considerable amount of work from the Trust team, staff from The Gryphon School and King Arthur’s School, the local authority and the Department for Education. We are working hard to ensure the best support is in place for both staff and students at King Arthur’s and we are excited about the school’s plan for the future”. SAST is a strong and ambitious Trust of both primary and secondary schools with a national Teaching School, which seeks to ensure an excellent and sustainable 0-19 education for children within our community across West and North Dorset, as well as South Somerset. It was established with seven schools serving the West and North Dorset area as well as students from South Somerset. Currently there are almost 3,000 students and the Trust employs nearly 500 staff. The Trust is expected to have an additional 6 schools join by the end of this academic year. There is real strength in coming together, with a collective responsibility for all of the children’s development and progress between 0-19 years. SAST believes in preserving and growing schools in their local community. Steve Hillier noted, “There is a great sense of pride in what we collectively already achieve, and we have accepted the challenge for achievement to be even higher at King Arthur’s. Education is more than just test and exam results – we place great value on the personal development of each child. We aim for them to ultimately leave school as well-rounded young people with a strong sense of what is socially, morally and culturally acceptable, and to feel that they have a contribution to make to the greater community”.